Sand Stone Texture – What the heck is it? Let's be honest - you have no idea what our 'Sand Stone Texture' is do you? Let me enlighten you. Sand Stone Texture is a little pot of AWESOME! It is versatile and should be a staple part of any Furniture Refinishers toolbox. 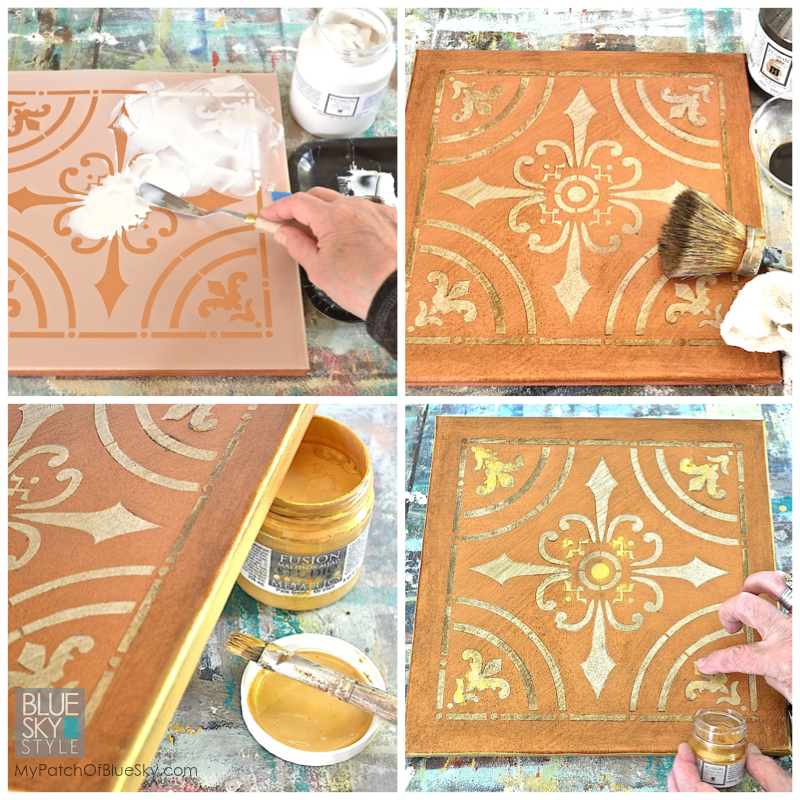 You can use it to add interest on dressers, push it through stencils for fun added details or use it to totally transform an entire room. 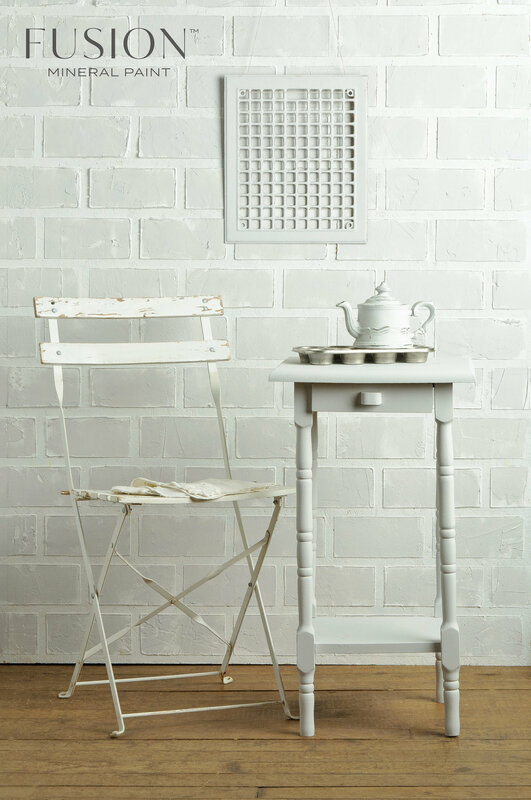 Just look at the incredible Faux Bricks in our Lamp White Colour Collage? And these Tin Tiles – can you see this finish in your bathroom or kitchen? So when should you use Sand Stone Texture? What is it good for? Well our very good friend, Debbie Hayes, of My Patch of Blue Sky has it nailed. 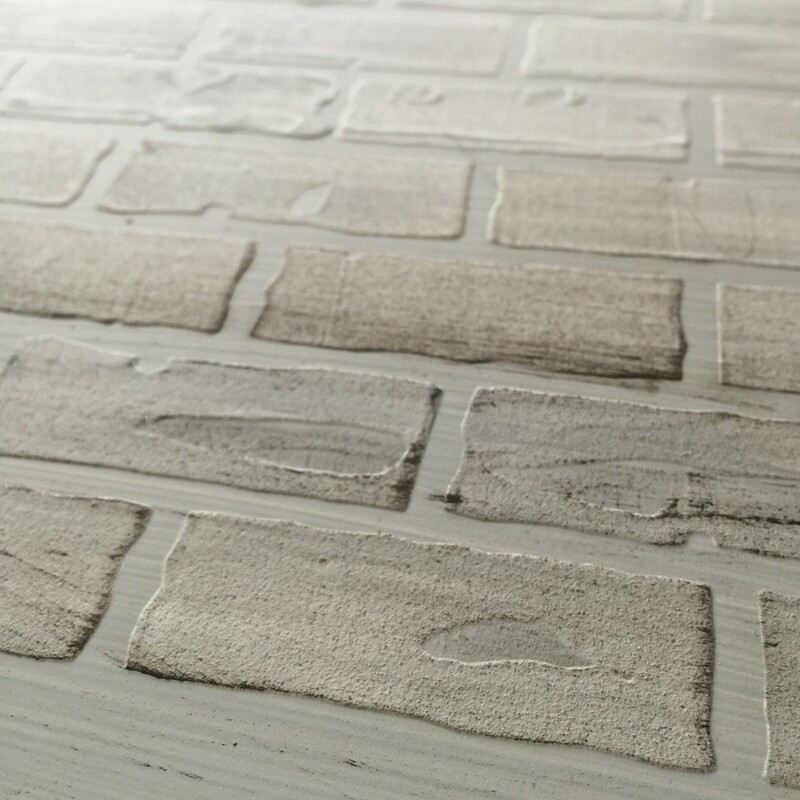 If you don’t know Debbie, there is more she has forgotten about Decorative Painting and Faux Finishing than most of us will ever learn – take a look at her fantastic blog post here, all about Fusion™ Sand Stone Texture. 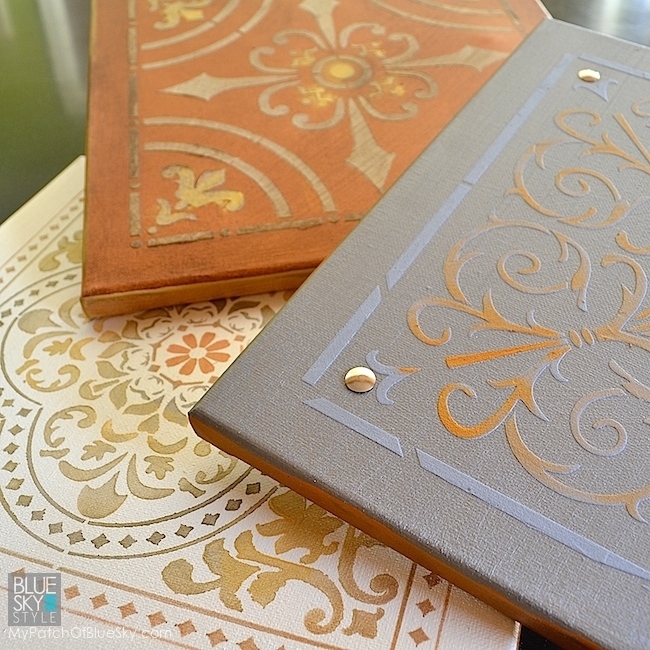 Debbie Created these incredible Faux Tin Tiles using Sand Stone Texture, our beautiful Metallics and canvases. Don’t you just love them? I could see these on a dresser front, or even a kitchen cabinet. 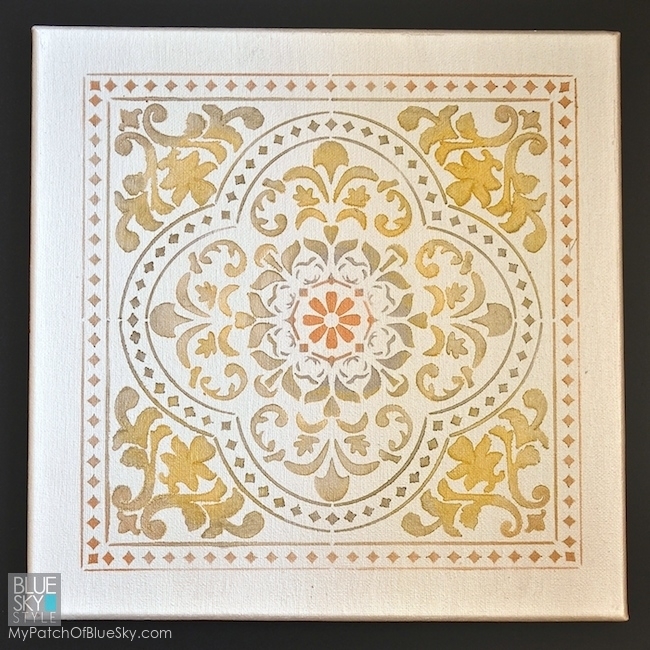 In fact, if you get a moment take a look at the Tin Tile splash back blog from Lost & Found Decor. Whilst Melanie used paint, Sand Stone Texture would have added an extra dimension. You can use Sand Stone Texture to create this wonderful faux brick finish – just see how fantastic the texture is? To give more context, take a look here, is that a real brick wall or Sand Stone Texture pushed through a stencil? I think you can guess the answer. Imagine this on a plain chimney breast or ugly flat wall. There are so many uses for this little pot of loveliness. 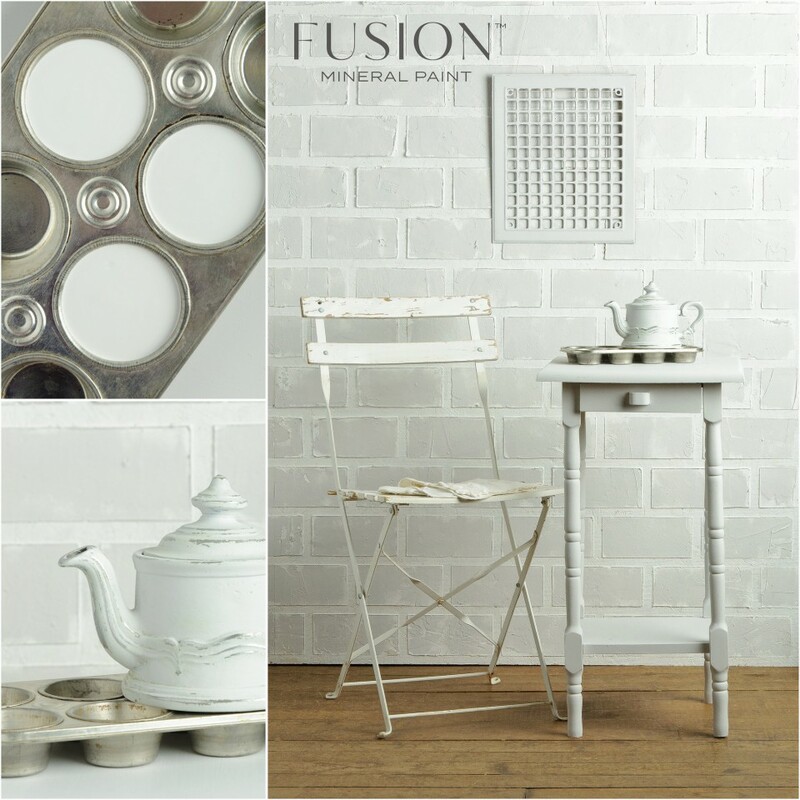 You can mix it with paint – if you want colour, you can add it to our Fusion™ Fresco if you want super Crackling or you can just play and get some stunning texture. 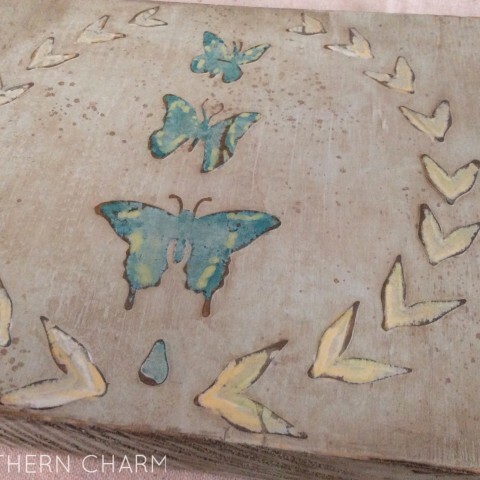 Need some more inspiration check out this blog post by Simple Southern Charm fantastic project using Sand Stone Texture for some more inspiration! Sand Stone dries super hard and is washable – just like our paint in fact! So go for it. Add it to your tool kit and be sure to post any of your creations on our Facebook Page! Have fun – that is that most important!